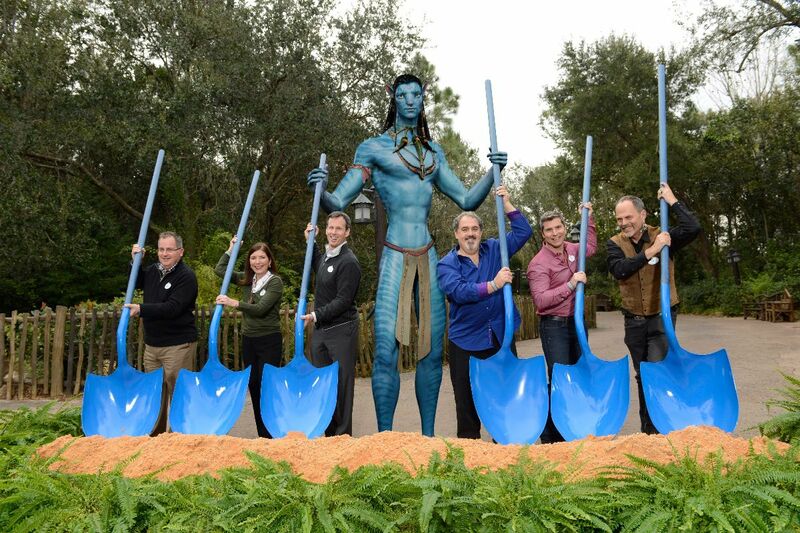 Early this week, Disney brought out the shovels to officially break ground on Avatar Land. This brand new land will be found in the former location of Camp Minnie-Mickey, which closed earlier this week at Disney’s Animal Kingdom. This new land will feature incredible theming that guests will get to interact with, such as experiencing riding a banshee, floating mountains, and interacting with plants that glow in the dark at night. Avatar Land is a part of the overall transformation of Disney’s Animal Kingdom that will help to make it a full day park. The land is expected to open sometime in 2017. UGH — More attractions at Animal Kingdom? Hate the idea of Disney adding to their parks. Mike, I’m curious… why wouldn’t you want Disney to add to parks? They have to keep things fresh don’t they? My read on Mike’s comment is that it was meant “tongue in cheek” rather than literally. Animal Kingdom in particular has long had many comments suggesting it needed more attractions (though we usually find enough to do there to fill 2 days ourselves). And many have also observing that while Universal has been adding multiple new attractions a year recently, much of Disney’s focus on adding things has seemed to revolve around adding plus signs (FASTPASS+, MyMagic+, etc.,) and people are trying to figure out what kind of addition or improvement is implied by the “plus” (e.g., more attractions with FASTPASSes combined with less ability to actually use them). Can’t wait until it opens. I am giving Disney the benefit of the doubt that they will do a great job. I’d really like to know when they’re going to announce what the *name* of this place will be. It can’t possibly be “Avatarland”. What’s an avatar? Who still remembers that movie? Hopefully this expansion will be worth the wait. Fantasyland so far has been incredibly underwhelming. A ride based on a 20 year old movie and a 70 year old movie…. Guess I’ll have to see the movie so I know what the fuss is all about. You will have to look hard, DisneyDad. There is no fuss about Avatar outside of the Disney office building. It was James Cameron’s effort to copy Star Wars, but it never caught on after the box office hit. The plan is to release three more Avatar movies (yes *three*) that I guess will coincide with the opening of this park addition.